Invasive status in SA: Cat. 1b. 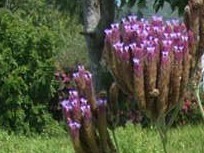 Tall herb with square stems covered with stiff hairs. 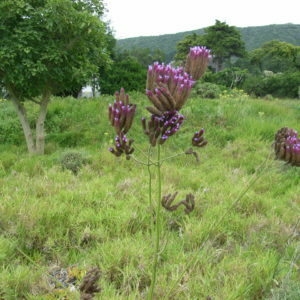 Widespread in the southern Cape wherever there is moist ground-hence also known as the Blouwater Bossie. Imported alien growing in the long grass west of the tennis courts.